GIRLS ON TOUR is a series of 5 interlinked e-novellas about four friends who find fun, romance and adventure in glamorous locations. The adventures commenced in July with stop offs in September, December and February 2015. In April 2015 the whole series will be published in one volume in paperback and ebook. Poppy does Paris is the first in the series and is available now. Wow, I loved this little novella. It is fun, flirty and fabulous … great start to a mini series. The second in the series Lily does LA is available tomorrow, 25th September. I loved this second instalment of Nicola Doherty Girls on Tour series. I love Lily, she is feisty, fun and sensitive at the same time. Lily is an out of work actress, she’s been struggling to find her big break and has filled her time by doing random jobs to pay the bills. When Lily is offered the chance to go to LA to help her cousin organise her wedding out there she jumps at the chance. What follows is a fun adventure in LA for Lily were she discovers a new found confidence, new friends, new allies, new love. Nicola Doherty’s writing is fresh, funny, honest and thoroughly enjoyable. 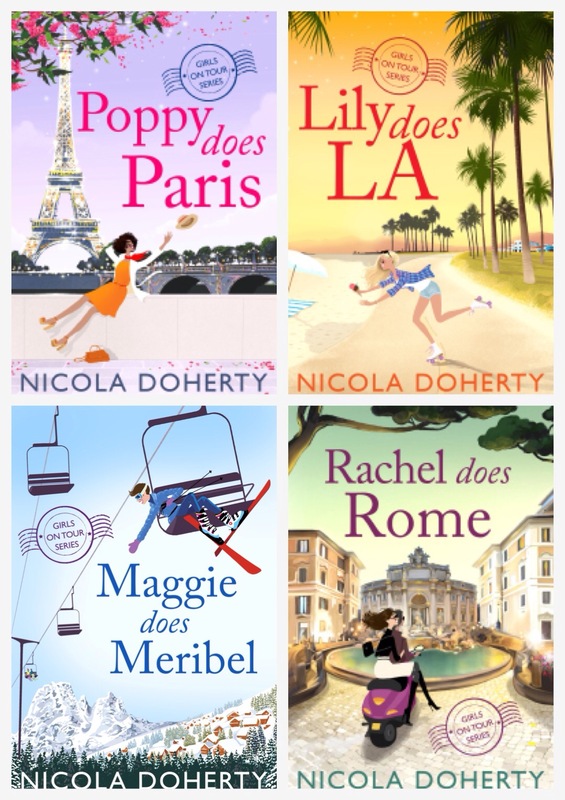 I’ve really enjoyed books 1 and 2 in the Girls on Tour series, I bet Nicola had great fun writing these novellas. The stories are stand alone but the girls are inter-linked. Nicola has done a fab map on her website which explains the connections between the girls. 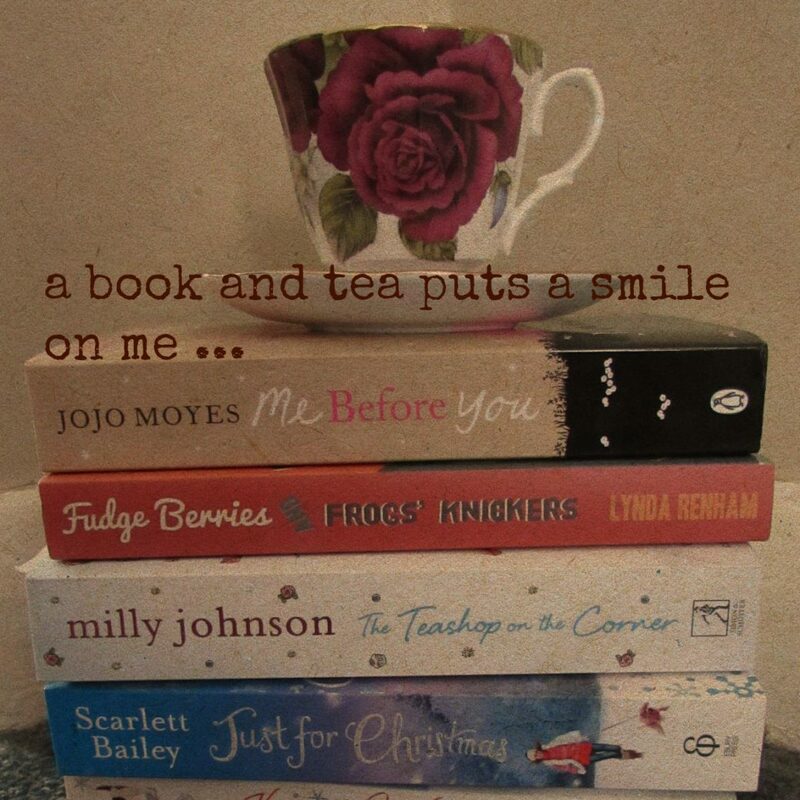 If you fancy a fun, frivolous, romantic read the Girls on Tour series is just perfect. Grab yourself a ticket and join the adventures of Poppy, Lily, Maggie and Rachel. So excited for the lovely author Lisa J Hobman, her Christmas novella, Christmas Presence is now available to pre-order on amazon. The novella is due to be released on 6th November 2014. Blurb: Mallory got her happily ever after, but haunting loss in the past has her running scared that she will lose her beloved yet again. Can anything…or anyone make her realise she needs to let go of the past and live for today? 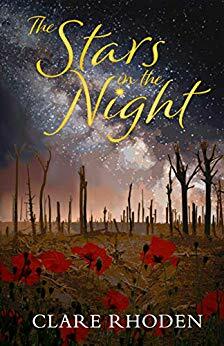 I’m looking forward to this novella, I loved Mallory’s story from Bridge over the Atlantic and the companion book Bridge of Hope. When I got to the end of both of these books I felt sad that I’d finished reading about Mallory, she had become like a friend to me so this novella is much needed fuel for my craving to know what follows for Mallory and Greg. I feel that the best thing an author can do is make you fall in love with the book characters and Lisa did just this in the above two novels. 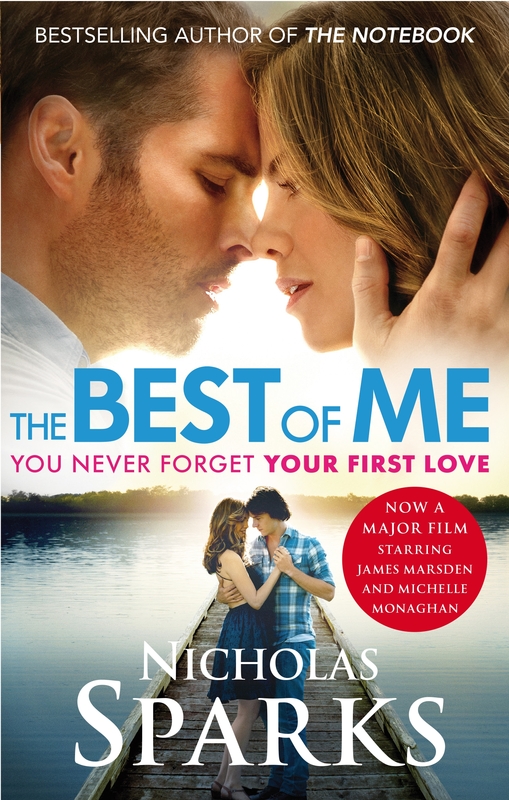 The bestselling love story behind the massive Hollywood film starring James Marsden and Michelle Monaghan. They were teenage sweethearts from opposite sides of the tracks – with a passion that would change their lives for ever. But life would force them apart. This is the new epic love story from the multi-million-copy bestselling author of The Notebook, The Lucky One and The Last Song. Nicholas Sparks is one of the world’s most beloved authors. With over eighty million copies of his books sold, Nicholas Sparks is one of the world’s most beloved storytellers. His novels include eleven No. 1 New York Times bestsellers. All Nicholas Sparks’ books have been international bestsellers and have been translated into more than forty languages. Eight of his novels have been adapted into major films: Safe Haven, The Lucky One, The Last Song, Dear John, Nights in Rodanthe, Message in a Bottle, A Walk to Remember and The Notebook. Nicholas Sparks lives in North Carolina with his wife and family. You can visit him and sign up for the Nicholas Sparks eNewsletter at http://www.uk.nicholassparks.com, and follow him on Twitter: @NicholasSparks. I found this story a little slow to start but was glad I stuck with it. It had the usual Nicholas Sparks complicated love story. This one spanned over 20 years. Childhood sweethearts Dawson and Amanda have not seen each other for over 20 years as they both went their separate ways after high school. Amanda has seemingly moved on and is married with children. Dawson’s life has had to endure events which made his life take a different course altogether however, these events and the love he had for Amanda back in high school has made it difficult for Dawson to move on. A dear close friend from their high school days has sadly passed away and Dawson and Amanda are brought back together. How will they cope with long time forgotten feelings they once had for each other? What follows is a beautiful tale of friendship and love. Drama also gets thrown at them and it becomes quite gripping at times which left me sobbing and screaming ‘no’! 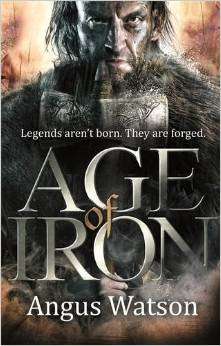 Bloodthirsty druids and battle-hardened Iron Age warriors collide in the first volume of this action-packed historical fantasy trilogy which will appeal to fans of Joe Abercrombie and HBO’s Game of Thrones. 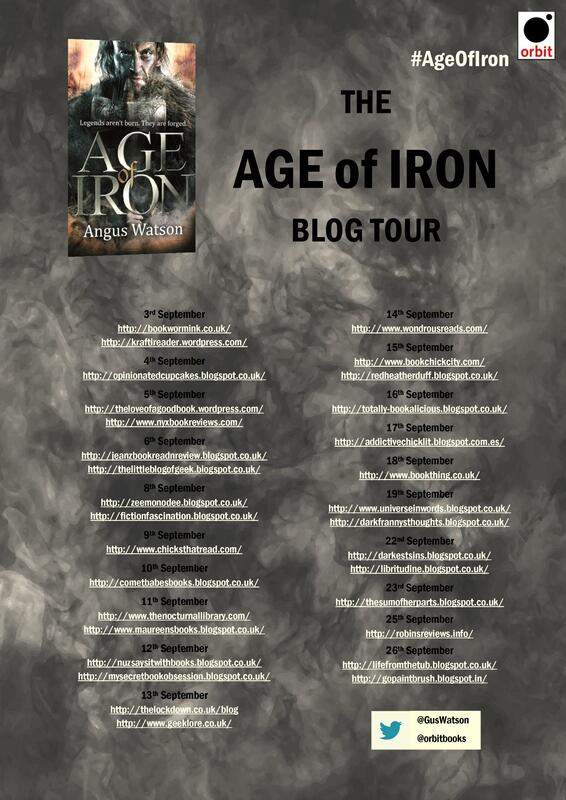 I have to admit Age of Iron isn’t a book I would normally read so I asked a family member to read the book and review it for me and they were very keen to get ‘stuck in’. For a start I’d never heard of Angus Watson but reading the synopsis I was intrigued enough to start reading the book. What a great novel, the characters were easy to picture and understand due to a well written tale. I picked the story up quickly and became engrossed in the characters, the scenario, the setting and I struggled to put it down.